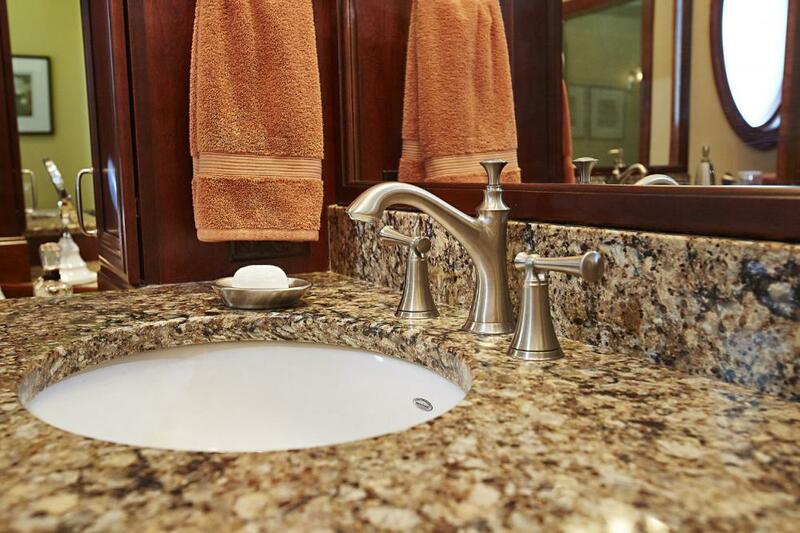 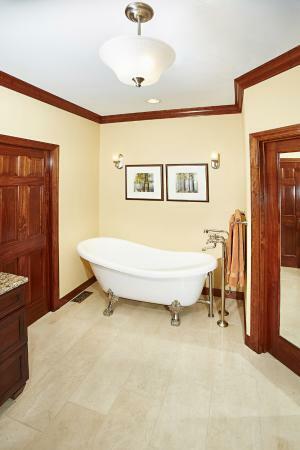 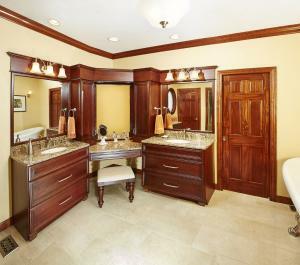 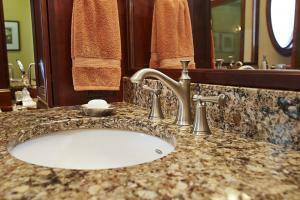 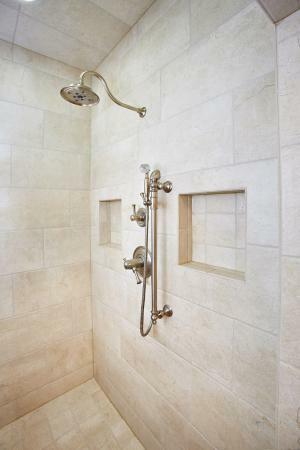 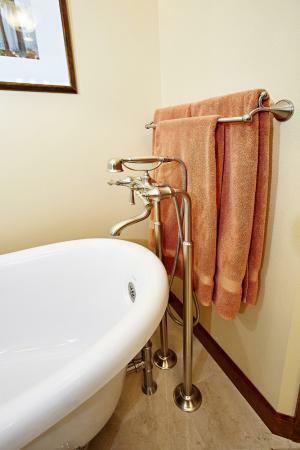 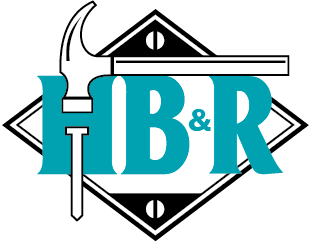 The decision to remodel their 1990's master bathroom was driven by the desire for a larger walk-in shower, a stand-alone claw-foot tub, and a grander vanity area with a dedicated makeup seating area. 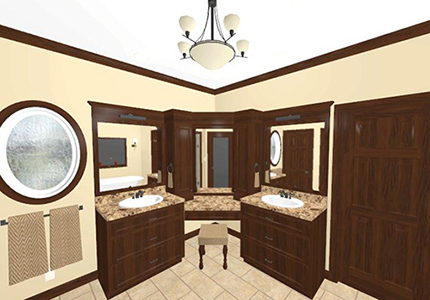 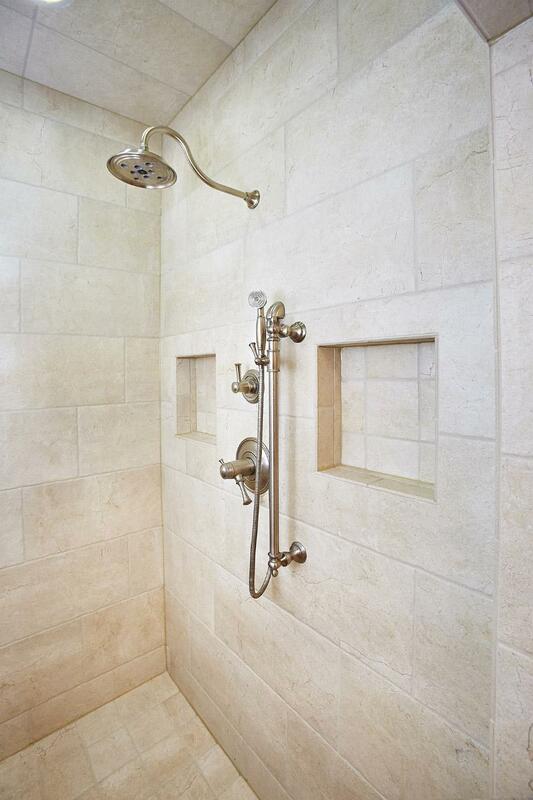 Fulford's design team went to work completely redesigning the bathroom using their 3-D computer-design drawings to confirm the perfect layout the homeowners were dreaming about. 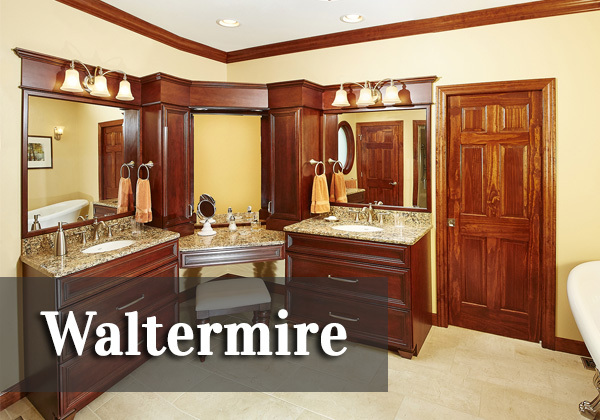 Once the design was finalized the Waltermire family worked closely with Fulford's interior designer to come up with the final colors and finishes that complemented a “contemporary elegance” theme. 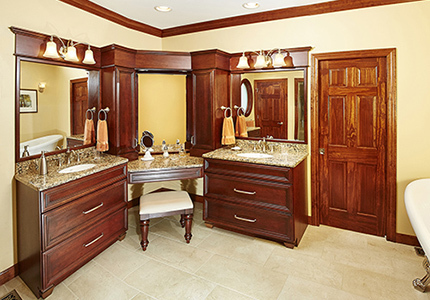 Final finishes included Omega-cherry cabinetry, Cambria-Canterbury countertops, Brizo-Baliza fixtures, and brushed Porcelain tile throughout the bathroom space. 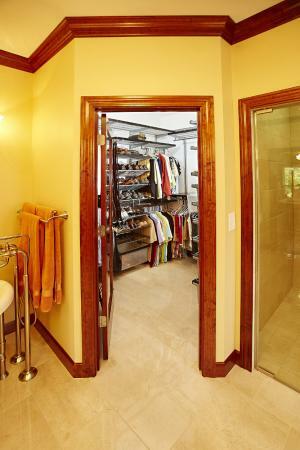 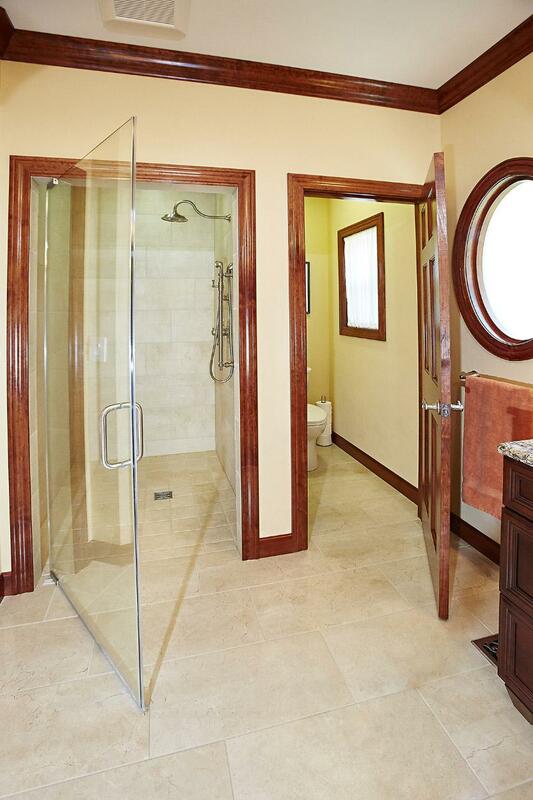 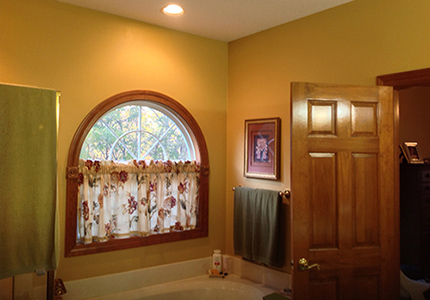 Other features included a new obscure-glass oval window, privacy commode room, and a renovated walk-in closet. 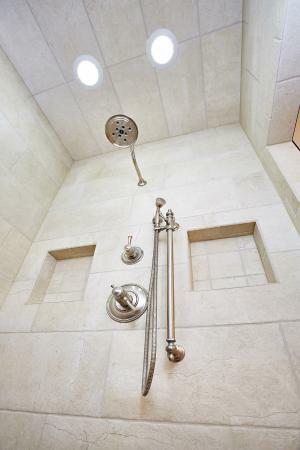 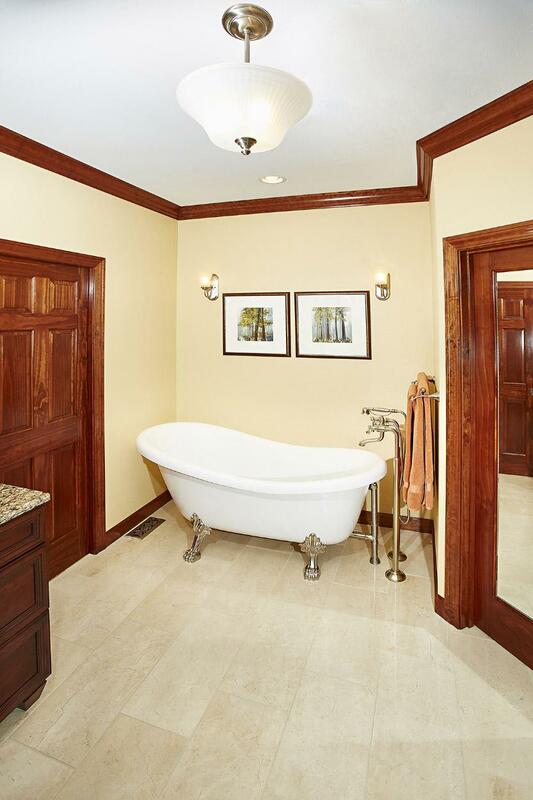 This dream master-bathroom was tailor-fitted to the homeowner's lifestyle and has created an everyday spa-like retreat they will enjoy for a decades to come.